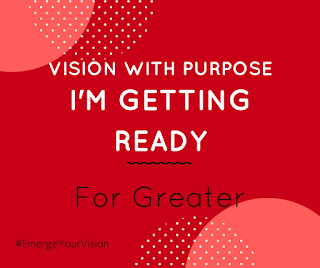 I'm getting ready for greater is what you say when you know you have a purpose connected to your vision. 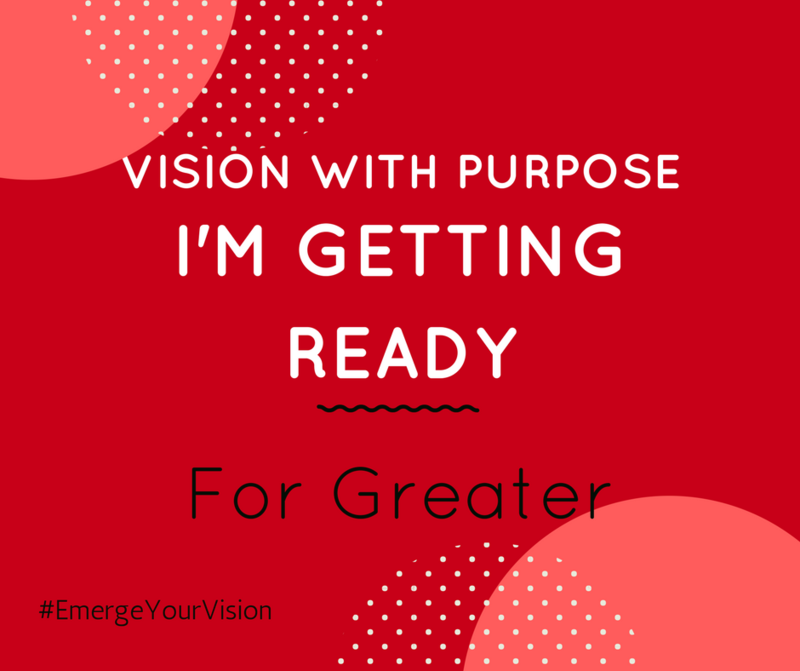 You have a vision with a purpose that is bigger than what you can see. You have a glimpse of what is to come. You are excited because your vision is coming forth to be outstanding, commanding beauty to come out. There's a purpose for your vision.